We don’t get outdoors much, so when we do, make sure we look the shiz! 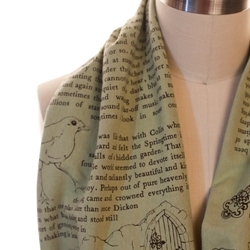 These cute scarves come printed with passages from some of our very favourite books like Alice in Wonderland, Sherlock Holmes, The Secret Garden and more. I cannot tell you how many cups of cold peppermint tea I’ve choked down over the years. 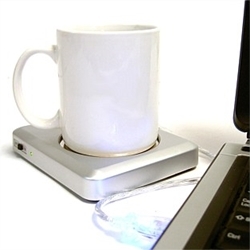 This awesome little device keeps your tea (or coffee) at temperature ready for when you can tear your hands away from the keyboard to drink it. Best of all, it has a USB connection to plug right into your computer. My name is Anna Butler. 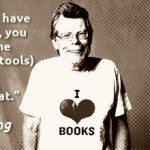 I’m a word-nerd and proud of it! And what better accessory to go with that spanky new cup holder, than a spanky new cup? Where did I put my glasses? 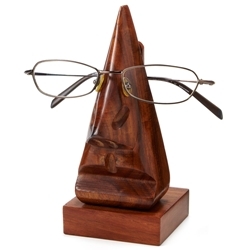 Why.. on this groovy little Easter Island Head inspired holder, of course! Practical sculpture. And best of all, according to the website it’s handcrafted from sustainable wood to support underprivileged artisans in India. What’s not to love? 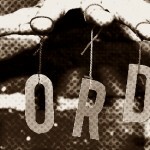 Mental dexterity and the ability to convince others is an essential part of any copywriter’s skill set. 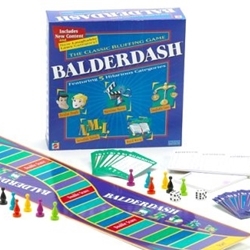 This game lets you test your mental wit by inventing answers and bluffing your opponents. Oh.. and you know… it’s a great way to connect with family and friends too. Running your own copywriting business can be fraught with difficult decisions each day… should I wear my PJs or track pants to work today? 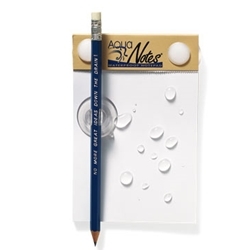 Fortunately, this sleek little paperweight can take the decision out of my hands with a simple spin and a fast solution. Practical and oh so stylish! 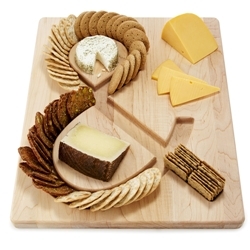 I’ve oft had a lunch or two of nothing but cheese and crackers, so love, love, loving this ampersand cheese & crackers board. And no more bikkies spilling off the sides when you’re juggling this with a glass of vino in the other hand! 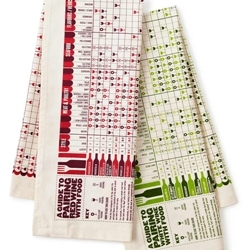 Speaking of wine (I’m a writer… it was always gonna go here) a great accompaniment to the aforementioned gift are these great tea towels offering super convenient food/wine matching information. With reds and whites, you can’t go wrong. So there you have it. 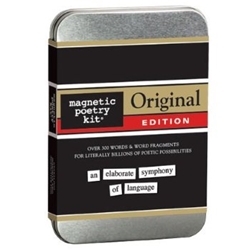 10 awesome gift ideas for the word nerd (or copywriter!! (hint hint)) in your life. Found any other awesome gift ideas? 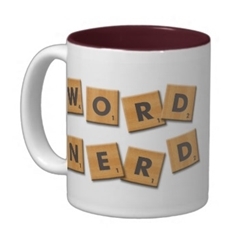 Or is there something word-nerdy on your wishlist? Tell us about it in the comments below, or share over on Facebook. I’ve seen all of these while shopping for others and thought… I could have that. I keep hinting but no one’s hearing me yet! And Belinda. 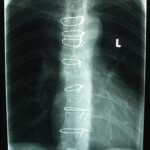 That spinelessclassics thing is the. most. amazing. thing ever! Very cool Belinda! And yeah, I keep finding super cool pressies that I’D like, when I’m supposed to be shopping for family and friends. 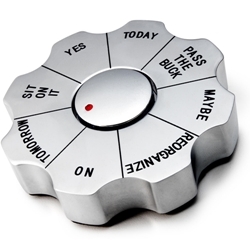 Fab collection Anna – that decision-making paperweight appeals to the procrastinator in me! Ah yes… cold “hot” drinks. The story of my life! Haha, yep. You know the feeling. Add items to wishlist – tick!